PUCET 2019 Admit Card will be available to download from 27 April 2019. PUCET is conducted by the Panjab University. Panjab University Common Entrance Test (PUCET) is a University level Entrance Exam. The exam is conducted once a year. Candidates can get admission through it into B.Pharmacy & B.Sc (Hons.) courses. Read the full article for more details regarding the exam dates, eligibility, exam pattern etc. 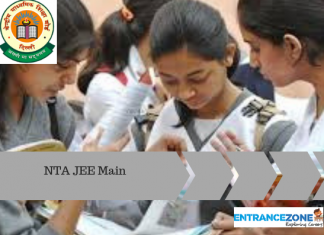 Latest Update: PUCET 2019 Exam dates has been released. The UG exam will be conducted on 30 April 2019(Revised) and PG exam on 08 – 09 June 2019. The examination will be conducted through Pen & Paper (offline) mode only. PUCET exam dates has been released by the Panjab University. 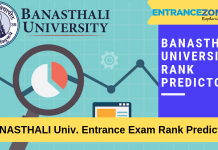 The Undergraduate exam will be conducted on 30 April 2019 and Post Graduate exam on 08 & 09 June 2019. The Notification regarding PUCET 2019 will be announced by The Authority tentatively in the last week of March 2019. The candidates will be admitted strictly in accordance with the Regulations/Rules contained in the latest University Calendars/guidelines/any other Instructions which have been issued/may be issued by the University from time to time for the respective Courses/examinations and in order of merit. PU CET 2019 for UG program will be held on 28 April 2019 The instructions given in this circular should in particular be adhered to while making admission for the Session 2019-20. These are the tentative important dates of Panjab University Common Entrance Test. The Authority will inform candidates through Email for the purpose of releasing Admit card. Admit card will be downloaded from 27 April 2019. Candidates can download the admit card by entering their Login Id & password provided while generating the Bank challan. The Admit card will be available through online mode only. 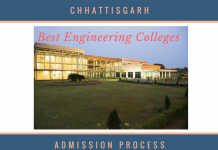 Admit card is the gate pass to enter the examination hall. No candidate will be allowed to sit for the examination without the Admit card. 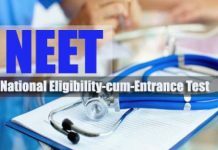 Given below is the procedure to download PUCET 2019 Admiard. Visit the official website of PUCET. ‘Admit card download’ link will be given on the website. Click on the link and enter the login id and password and click on ‘Submit’. Finally, Download and print several copies for further use. PU CET 2019 application form will be available soon. Candidates must fill the Application form carefully, as no modification or changes will be done after the successfully submission of the Application form. PUCET Application form will be available in the third week of April 2019. Candidates must fill the Application form on or before Third week of May 2019. Candidates must fill the details required and upload the scanned images of photograph and signature of the candidate in the Application form. After uploading the documents, candidates are required to pay the Application fee for successful submission of Application form. Candidates are advised to print multiple copies of the Application form. Application fee can be submitted in any of the Branch of State Bank Of India using website generated challan. *Application Fee is Non Refundable & Non Transferable. Candidates fulfilling the complete eligibility criteria laid down by the University can sit in the PUCET. Age Criteria: For BHMS, candidates must have completed 17 years as on 31 December at the time of admission. The candidates who have passed/appeared (up to the academic session 2017 to 2019) 10+2 from a CBSE, Delhi or any other Boards are eligible to apply. It is mandatory to score minimum of 50% marks in class 12. English, Physics, Chemistry and one of the following subject: Biology/Biotechnology/ Mathematics are necessary to have in class 12. 5% of relaxation will be provided in eligibility marks for SC/ST/BC/PwD candidates. 70 minutes will be provided, for each section of the exam. Extra 20 minutes will be given to the PwD candidates. The paper will be in a format of Multiple Choice Questions. The exam will be held in Chandigarh only. Each correct answer will fetch 2 marks. 0.5 marks will be deducted for every wrong answer. The exam will be asked in English language. The Panjab University will provide syllabus for PUCET. 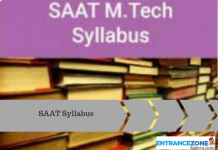 Generally the syllabus will be comprised of class 10,11 & 12 Physics, Chemistry, Mathematics & Biology syllabus. Candidates can get the complete syllabus at the University Website. Candidates must always know the complete syllabus. Candidates must make a proper timetable and strictly follow it. Applicants are advised to not to skip any important topics. Candidates must check the exam pattern and marking scheme properly. In the first week of June 2019, The University will release the result of PUCET 2019. Candidates will be able to check their result through online mode only. The qualified candidates will have to fill the admission form. University will release list of ‘Qualified’ and ‘Disqualified’ Candidates & also Merit list for PCB/PCM and Mathematics only. The counselling will be conducted on various rounds. It depends on Availability of vacant seats. If the seats still remains vacant after the second round of Counselling then the University will conduct the physical Counselling. The University will provide admission form, after the declaration of Result. Only the qualified candidates will have fill the Application form. The candidates will have to fill their choice of Course/ Department in the admission in the prescribed form. The University will provide admission based on the Availability of seats, Merit list and Document verification. For more information regarding PUCET stay tuned to Entrancezone. pu cet pg 2019, pu cet ug 2019, pu cet pg syllabus, pu cet syllabus, pu cet pg 2018, pu cet 2019 exam date, pu cet 2018.